Searches of 250 properties in Greater Manchester worth an estimated £30m and thought to be linked to the IRA are continuing after a series of raids. 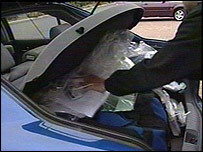 The investigation is being led by the Assets Recovery Agency (ARA). 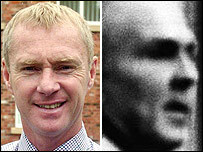 The action is thought to be linked to a probe into the affairs of Thomas "Slab" Murphy, widely considered to be head of the IRA, and businessman Dermot Craven. Irish justice minister Michael McDowell vowed to track down those who "had control of the proceeds of crime". Documents were seized in the searches, which took place 10 days after the IRA put its weapons beyond use and on the day Sinn Fein President Gerry Adams met Prime Minister Tony Blair in Downing Street. But Northern Ireland Secretary Peter Hain said the timing of the raids was coincidental and insisted the ARA acted independently from the government. Mr Adams said he did not believe the raids would affect the political process. Mr McDowell said police from both sides of the border in Ireland were cooperating with the Criminal Assets Bureau and the ARA. He added: "It's not simply what happens in this island [Ireland]. It's people who transfer assets abroad to be outside the reach of the long arm of the law." Mr McDowell, an outspoken critic of the IRA, insisted London and Dublin were working together to track down illegal assets. He said political developments would not "airbrush" questions of the "proceeds of criminality" and the "massive portfolio of assets" allegedly held by many people involved with paramilitaries. Gardai in the Republic of Ireland said late on Thursday that officers from the Criminal Assets Bureau (CAB) in the republic had been working with the ARA on the Manchester investigation and others. In a statement, An Garda Siochana said: "There is ongoing close cooperation between the ARA and CAB at all levels and collaboration in investigations is a regular occurrence." It said CAB detectives and local gardai had carried out seven searches at professional officers in Co Louth on Thursday and were examining material seized during the raids. DUP leader Ian Paisley earlier welcomed the Manchester raids but said they were "a bit late in the day". He told BBC News: "I trust that soon these people will be brought to the courts, have British justice applied to them - and removed from our society, which they've cursed far too long," he added. 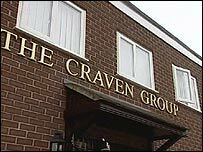 Among the premises searched were Craven Properties in Britannia Road, Sale - part of Mr Craven's Craven Group - his home, Craven House, in South Downs Road, Bowdon, and a block of flats in Sale. The operation is understood to have originated in Northern Ireland and then extended to the Republic and the rest of the UK. An ARA statement said: "The agency has so far identified approximately 250 properties held by both persons and a number of property management companies. "The equity in the properties appears to be in the region of £9m." An ARA spokeswoman said it was an investigation against assets, not individuals or companies. Murphy lost a libel case against The Sunday Times in 1998, after the newspaper described him as a prominent IRA member. The authorities on both sides of the border have been investigating him for years. Murphy describes himself as a County Louth farmer. The family property is in an area straddling the border with the Irish Republic at Hackballscross.